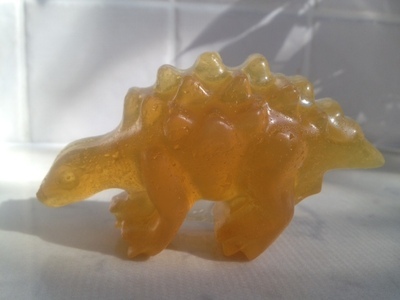 Mould your own themed soap to make hand washing much more fun. 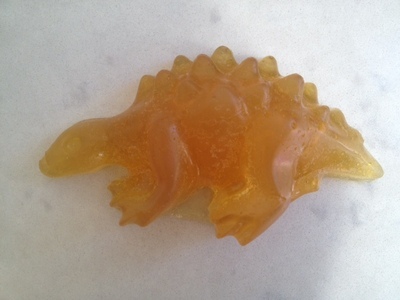 We made a stegosaurus but you could make any shape depending on what mold you can find. If you're making large quantities, it's probably cheaper and more effective to buy specialist 'melt and pour' soap as a starting material. 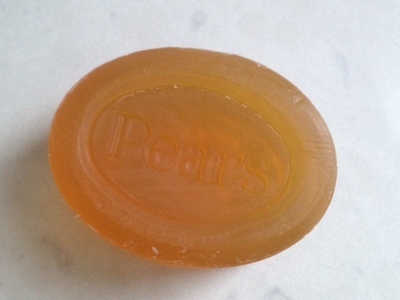 However, if you're just making a few pieces, a bar of transparent soap from the supermarket will do the trick. Warning - this activity involves chopping and very hot liquids, so parental supervision is required. Chop the soap bar into chunks - the smaller the better. Put soap chunks into a dry microwaveable container. 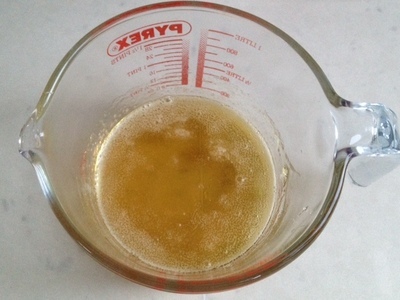 Heat in microwave on low power for 10 seconds at a time, swirling the container at each interval to help melt the soap chunks. Stop as soon as it's just melted - make sure you don't overdo it by letting the soap start to bubble. Pour straight into the silicone muffin mould. 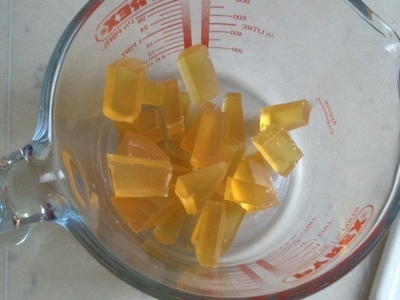 The melted soap will start to solidify very quickly so you need to do this step immediately. Leave to cool and set for at least an hour. 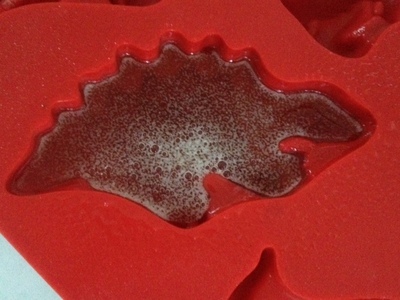 Pop out the soap from the mould. This is very cool - it would make a great hand made birthday present!